"Family and Pedigree of Wray", Rev. George Octavius Wray, The Genealogist, vol 4, 1880, pp. 278-285. Wray family tree by Angela Booth. Courtesy of John de Courcy. 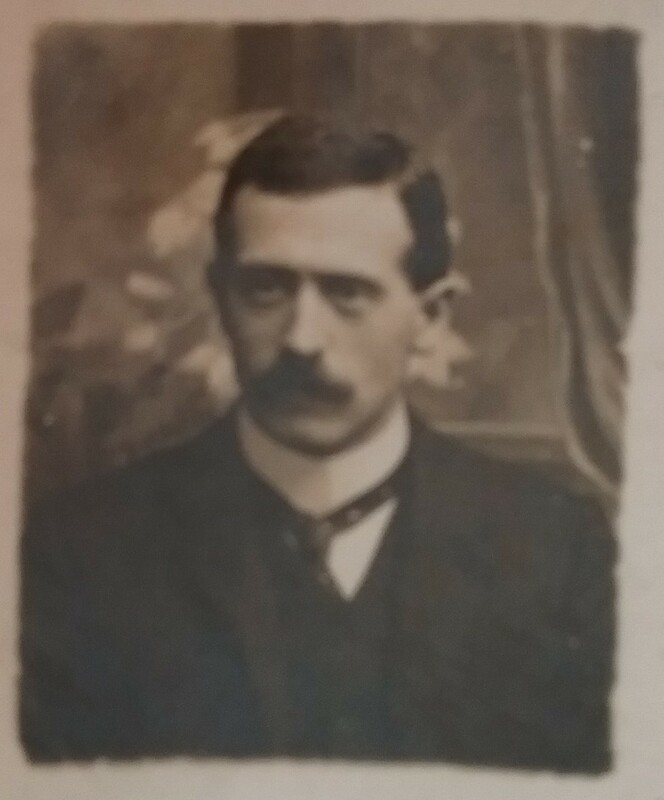 John Stephen de Courcy, born 1872, Limerick. 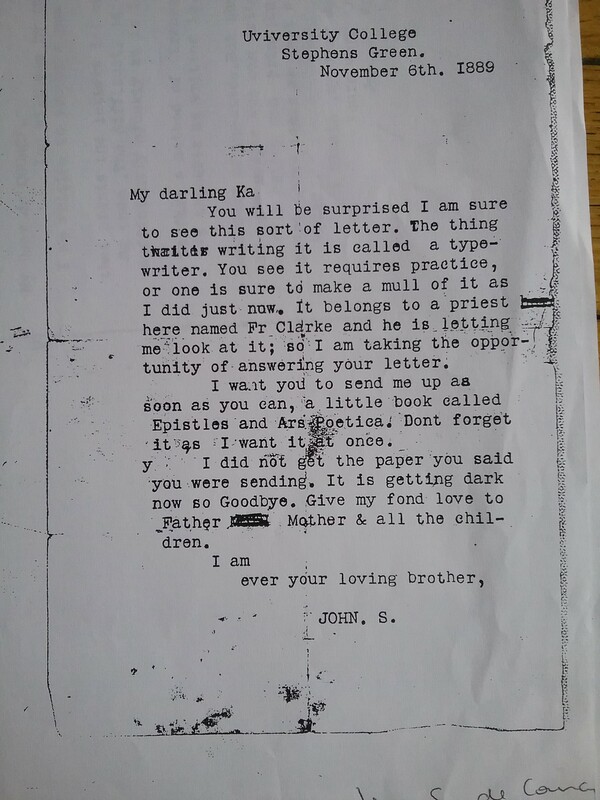 See letter from "John S.", student at UCD, 6 Nov 1889, to "My darling Ka" (Kathleen de Courcy, his sister). He notes the novelty of writing it on a typewriter. He asks her to "send me up as soon as you can, a little book called Epistles and Ars Poetica". He says "Give my fond love to Father, Mother & all the children". 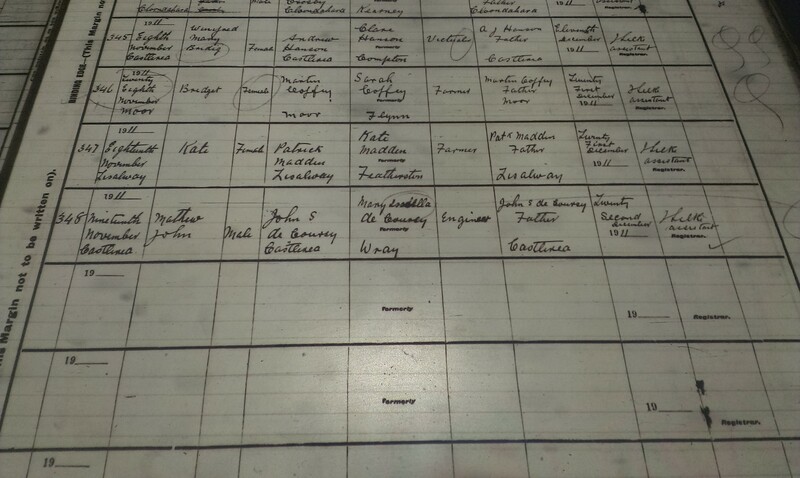 In [Census, 1901] he is listed as a boarder in Cork, he is a "mathematical tutor". He mar 1910, Catholic Church, Chiswick, London, to Mary Isabella Wray [born 1877, Marylebone, London]. She was dau of Christopher George Wray and Francesca Maria Sforza Bagshawe. The Wrays were a distinguished English Catholic family. Her ancestral 1st cousin was Sir Christopher Wray, Lord Chief Justice 1575-92. See his spectacular tomb. See also ancestry of Francesca Maria Sforza Bagshawe. 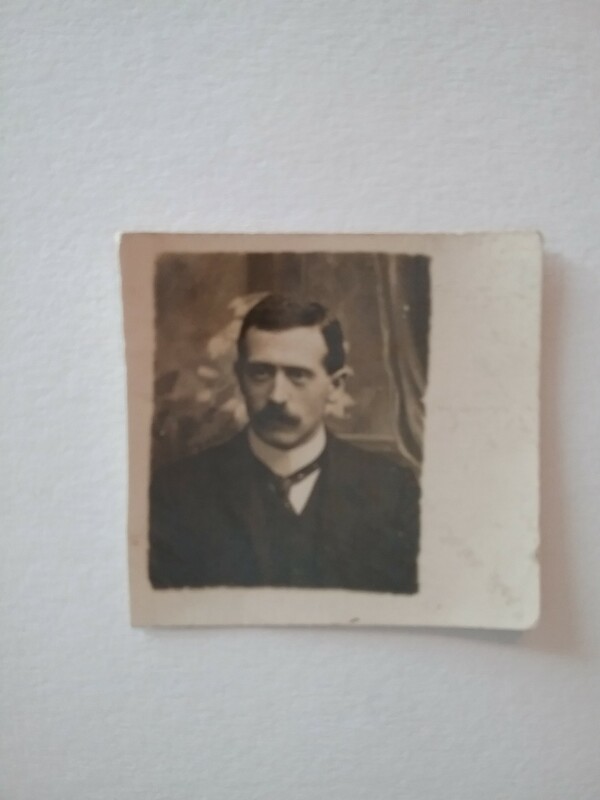 In [Census, 1911] they are listed as living Castlerea, Co.Roscommon, he is "civil engineer". Living Castlerea at son's birth 1911, he is "engineer". He died 1936, age 64 yrs. She died 1943, age 66 yrs. 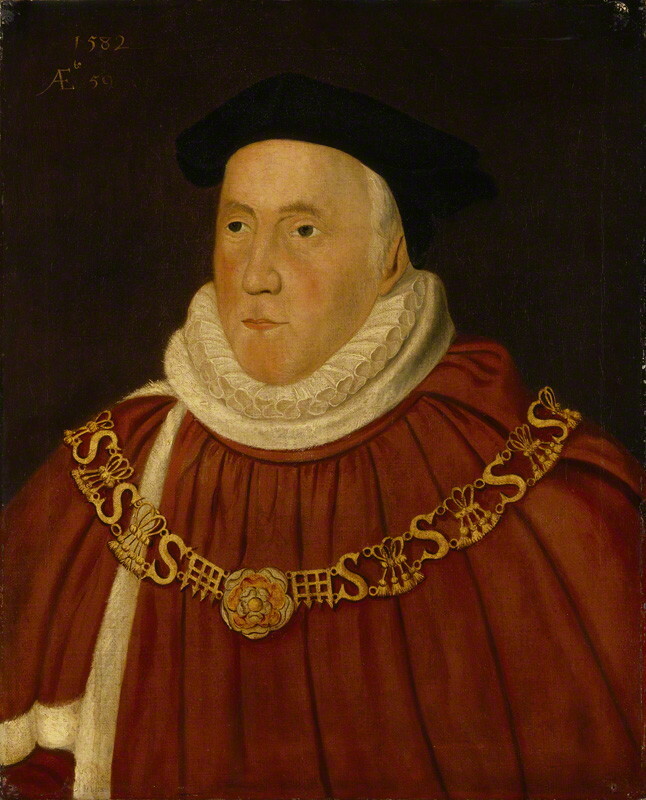 Sir Christopher Wray, Lord Chief Justice 1575-92.